Bill McRae explores the heart of Mary Magdalene by examining the 6 scenes in which she appears in the Bible. 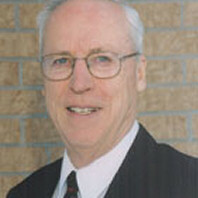 Dr. Bill McRae is President Emeritus at Tyndale University College & Seminary. Dr. McRae graduated from Emmaus Bible School (1954), Toronto Teachers College (1955), Queens University (1966), and Dallas Theological Seminary (1970, 1983). As a former school teacher, Dr. Mcrae taught for two years in the public school system and from 1966 - 1975, he was involved in pastoral and Bible teaching ministry at Believers Chapel (Dallas, TX), Renfrew (Ontario), and London (Ontario). Dr. McRae is married to Marilyn with four adult children. He is the author of The Dynamics of Spiritual Gifts, Preparing for your Marriage, A Book to Die for, Making a Good Thing Better.